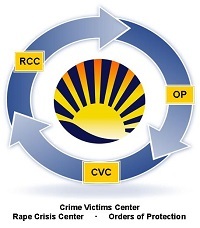 To provide comprehensive services to victims of crime and their survivors, reduce their trauma, facilitate their recovery, empower them and advocate for their rights to fair treatment and justice. Victims of non-intimate partner domestic assaults and/or vandalism perpetrated by a non-intimate partner, and stalking, meet one-on-one with an Order of Protection advocate to assess their needs and receive referrals for social service assistance. Working closely with the Memphis Police Department (link is external), the Shelby County Sheriff’s Office (link is external), and the Shelby County District Attorney General’s office (link is external), the victim advocates process the orders of protection in Shelby County. Note: All services are free and confidential.